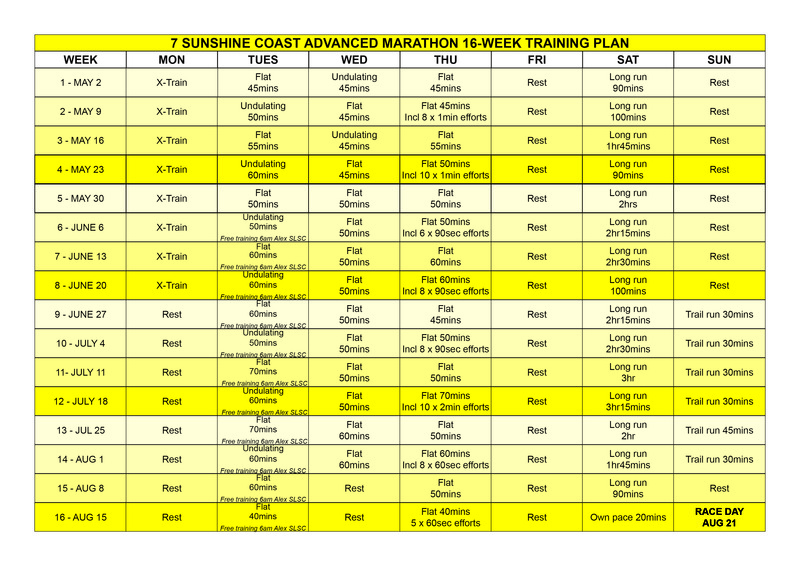 The 7 Sunshine Coast Marathon partners with leading Sunshine Coast-based training group Atlas Multisports Coaching to deliver complimentary expert training guides for our entrants in the 10km, half-marathon and full marathon events. 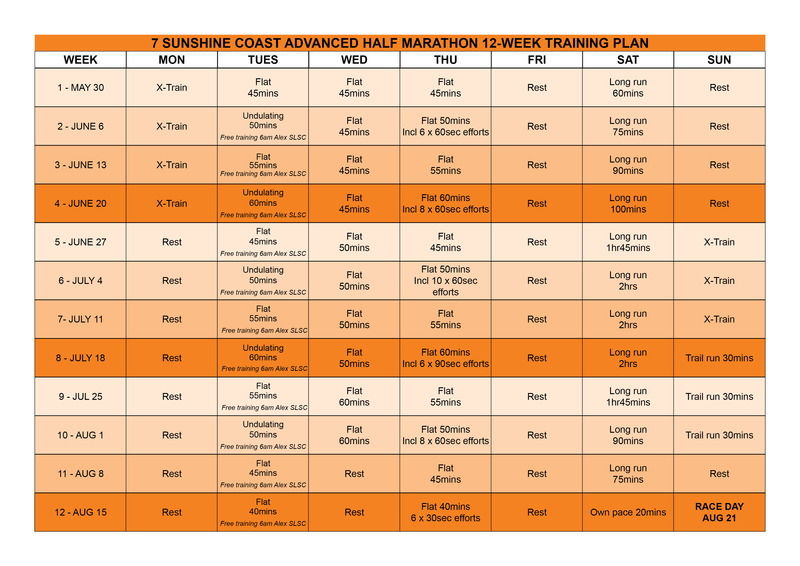 The Atlas Multisports qualified running coaches have designed a 16-week training guide for beginner, intermediate and advanced marathon runners. The guide provides you with an explanation of terms and daily sessions suggestions so you can build your way to the appropriate distance. This 16-week training guide is just that, a guide, to help you get to the start line feeling your absolute best. Everyone is different so feel free to be a little flexible to make it work for you and enjoy the challenge and rewards. 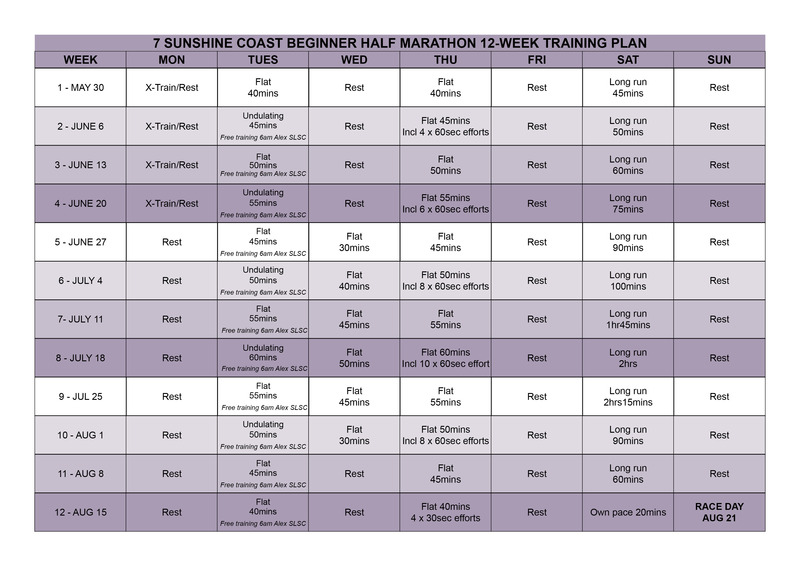 Click here to download the advanced, intermediate or beginner 12-week half marathon guide. 7SCM_AdvHalfMarathon_16, intermediate or beginner half marathon guide.